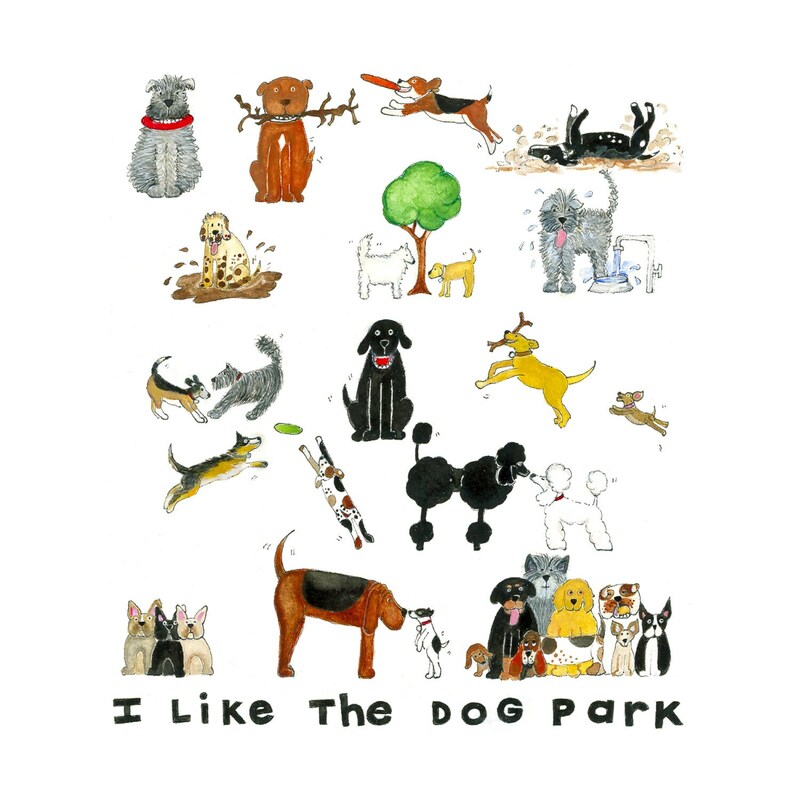 Nothing is more fun than the dog park, and when you can't be there, you can still enjoy it. 12 x 12 (image appx 9 X 11) archival print from original watercolor. Other sizes available, send a note if interested.